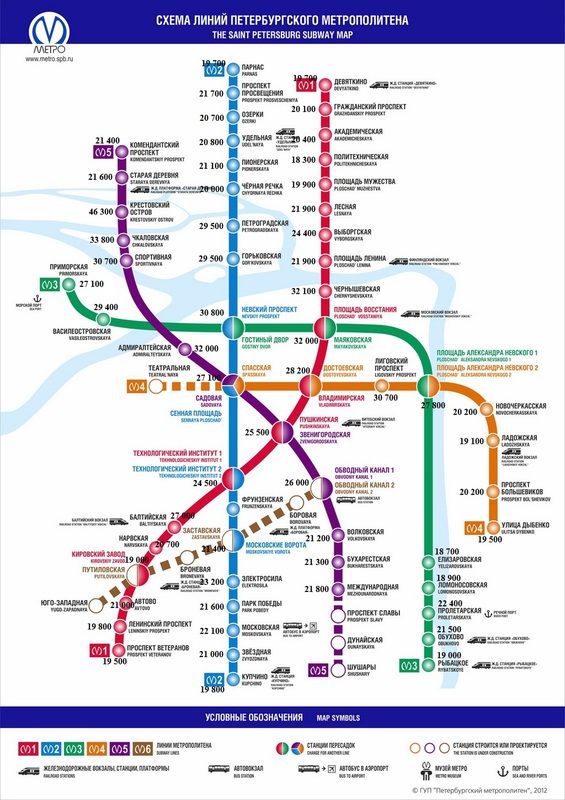 We made up the Saint Petersburg subway map with cost (in rubles) of an one-room apartment rent located near each subway station for one month or longer and added a few important recommendations on renting. 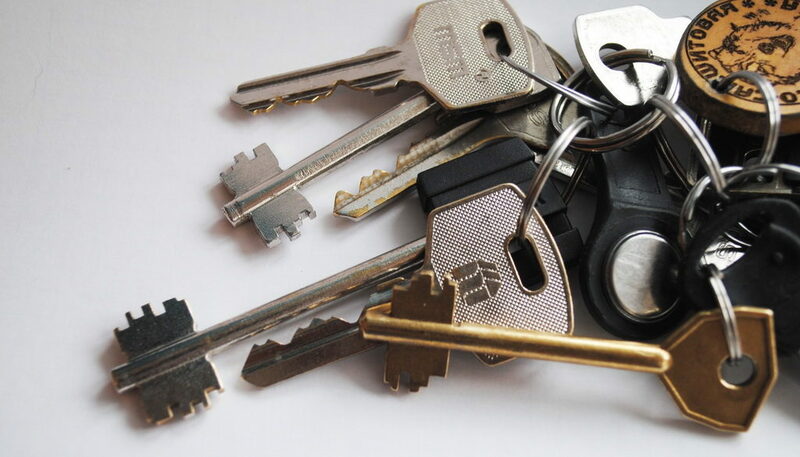 In case you need an apartment in St. Petersburg for a long term (one month or more), keep in mind some rules for landlord – tenant relations customary in the city. Apartments are being rented out by locals through a rent agency, individual rental agents (brokers) or on their own. 2. Through a rental agent or no, what’s better? Well, we always preferred it being done by a middleman who helps to find the right property (rather fast) and draw up a lease agreement. Honestly, we’re not sure that an agreement has full force and effect but in any case you have some evidence that the landlord was renting his flat out to you which can be used to press him on the grounds that he didn’t pay taxes on this operation though he had to. And he hardly did, just believe us. If you’re interacting with the landlord with the help of the broker, i. e. rental agent, you usually pay like this: one month rent + agent’s honorary (as much as one month rent) + security deposit which is repaid upon your leaving the apartment if you have not damaged the property (also as much as one month rent). Totally, you first pay three rents at once and then just a rent month by month. Sometimes you can negotiate that you pay the deposit a bit later. 4. Utility bills: included or not in the price on your map? Not. Usually long term rents are written as “price + utility bills”, in Russian, it is like this: 21.000 rubles + КУ. КУ here is «коммунальные услуги» (utility services). For an one-room apartment utility bill now is about 2-2,500 rubles a month. Utility services are almost always paid by the tenant. Regarding who transfers money for utility services, you or the landlord, it’s wholly up to your relations with the owner. The flat’s owner may live in another city or even abroad, so in this case the function of transferring money would be yours. 5. What’s an one-room apartment to rent? This kind of apartment is usually called a studio apartment. It features a kitchen and a room which is used for different needs, i. e. sleeping, working, meeting with friends. Apartments to rent are in most cases fully furnished. There are no any standards for what furniture must be in, so have a look at an apartment before renting it. 6. Why the prices on the map are so different? A rent depends on the proximity to a subway station and a district, that’s customary in St. Petersburg where the subway is the biggest means of passenger transportation. City center’s districts cost more as well as luxury spots. For example, Krestovsky ostrov (island) is a place for luxury residential property, so 46+ is not surprising. For 28,200 rubles for an apartment near Dostoevskaya station you can get the same quality as for 19,800 in Kupchino. The difference totally arises from the distance to the city center and is not linked to nearby amenities like groceries, cheap services and so on. Kupchino provided more amenities than the center. The same paradox is with Parnas where only new residential exists built just a few years ago. Why is a rent there at a level of 19,700 insteas of 29,500 near Petrogradskaya? Just because it’s about a 30-some minutes trip from the center while Petrogradskaya is the most beautiful city’s district. That’s what behind the logic of calculating rents in St. Petersburg. 7. How To Choose A Rent Agency? We exactly know how NOT to choose: a paranormally low (or high) rent, i. e. substantially different from those on the map is loudly telling that you run a risk of getting into trouble with a fraud. What you can do the best is to ask us a tip on which rent agency to choose. This applies to any other questions.